Roomba is the name of a class in the world of Robotic Vacuums. 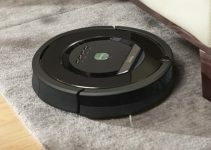 Since the hype of robotic vacuums is increasing, the Roomba 650 is one of the best vacuums one can have beside themselves to do all their chores and things. The Roomba 650 is the ultimate vacuum which will clean your house in a short interval of time, it will do that so efficiently that you will not be able to resist it. You will completely fall in love with its outclass performance and its abilities. The Roomba 650 is exclusively designed to clean the carpets, hardwood, tiles as well as the laminate floors. It also has its advertisement as being able to take up the pet’s hair. This vacuum can also be scheduled for up to seven preset cleaning. It can also be activated for on the spot cleaning with the push of a button. Now in addition to the vacuum itself, this vacuum also comes with a self-charging base, a battery charger, an extra AeroVac filter for efficient cleaning and an auto virtual wall which is used for setting off the limit areas where you would not want your vacuum to go. So, if your search revolves around a simple vacuum to perform all your chores within a limited amount of time, so you can go on time for your meeting, or to pick up your kids. Then this robotic vacuum may be your best option. With a small and rounded design which is made to fit all the requirements of the user himself. This vacuum is only 3.6 inches tall but does a job even more efficient than the conventional vacuum. It can go on for an hour working, cleaning everything in its way and still not getting tired of the work. With its small design, it doesn’t stick in any corner of the house and smoothly continues to do its work. The overall design is not something that you have not seen before, it is just like the other models of the same manufacturer. We tested this vacuum on each and every surface, checked out its battery life and many other aspects related to cleaning. This vacuum had an incredible power when it came to sucking things up from each and every type of surface. It was so much better on hard surfaces like the carpets and rugs. In terms of battery life, this device did not render any extraordinary performance. It was like most of its other models. Other than that, the movement of this vacuum is extra fast and this is something that amazed us. It takes over the round corners easily as well, even though we expected it to be a problem since the speed was quieter faster. But it was actually great. This vacuum has a beautiful function of automatic docking and recharging. Even though it is just 3.6 inches tall, The Roomba 690 has been specifically designed to fit under the most furniture and kickboards so that dirt has no place to hide. It can automatically adjust to all the floor types, be it carpet, be it the tiles, to the hardwood, the laminate floors and much more. Many of its users love just how the Roomba 650 can pick up dust from even the smallest corners of the room and still be okay. It goes over and over a surface until it is fully cleaned. It is easy to use and results in a remarkable performance on the hard floors, especially carpets. You do not need to keep an eye on Roomba 650 forever, it can do its job itself. Many people do not like how this vacuum gets lots in places where the flooring is a bit dark, or in places under the furniture and all. Getting it back on track is a little hard to do. It also produces not so much, but more voice than the other models of the same manufacturer. It does not have Wi-Fi Connectivity if you do not mind it. Go for it. To easily and perfectly take care of your vacuum, you must be very serious and dedicated to the entire process of taking care of it. Many people out there take care of their vacuums on a monthly basis and they have reported that this regime has significantly prolonged the life if their vacuum. Care towards your vacuum is an important aspect to cover here because many people are not aware of the effects it can cause. You have to take care of your vacuum, firstly by inspecting it every month for any defective parts. This will help you know if something is going on inside your vacuum that you do not know of. Bags should be changed and replaced carefully. It is also to be kept in consideration that you also need to keep your vacuum from increasingly hot temperatures since it can seriously mess up the battery and cause damage to the vacuum. We hope that you found our article educational and useful. The Roomba 650 is a friendly cleaning soldier you can have in your house as your companion. We are sure that by now, you have enough knowledge and understanding of the Roomba 650, enough to make the right decision. 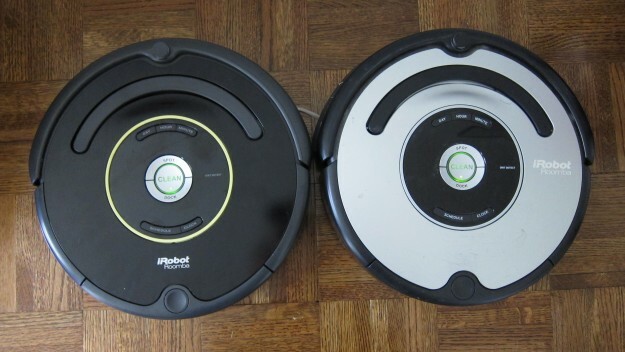 That’s all for this Roomba 650 Robot Vacuum Review. If you like this article please share it with your friends.